Tennis is a global sport and Mysore has been producing talented tennis players from time to time who have gone on to represent the country in different events. One such player who has made his mark in the State and National level is Mysore’s upcoming tennis player Mustafa M Raja. He has been performing consistently in the National level U-12 & U-14 tournaments and is among the top Sub-Junior level Tennis players in the country. 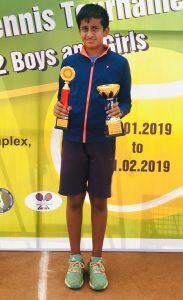 Recently, Mustafa who took part in the AITA U-12 National Series Tennis Tournament 2019 at KG Ramesh Tennis Centre Coimbatore, where he won the U-12 Doubles title and finished runner-up in U-12 Singles event. He is our Star this Week. The 11 year old Mustafa is a student of Excel Public School and a product of R. Nagaraj Tennis Centre. He combined well with Pune lad Arnav and beat the top seeded pair of Rethin Senthil and Kandhavel Mahalingam 6-7 (2) 7-6 (6) 10-8 to clinch the title. In the U-12 boys Singles, Mustafa emerged runner-up. Top seed Rethin Pranav beat Mustafa 6-1 6-4 to clinch the title. Mustafa has been performing well in the National level in U-12 and U14 sections. 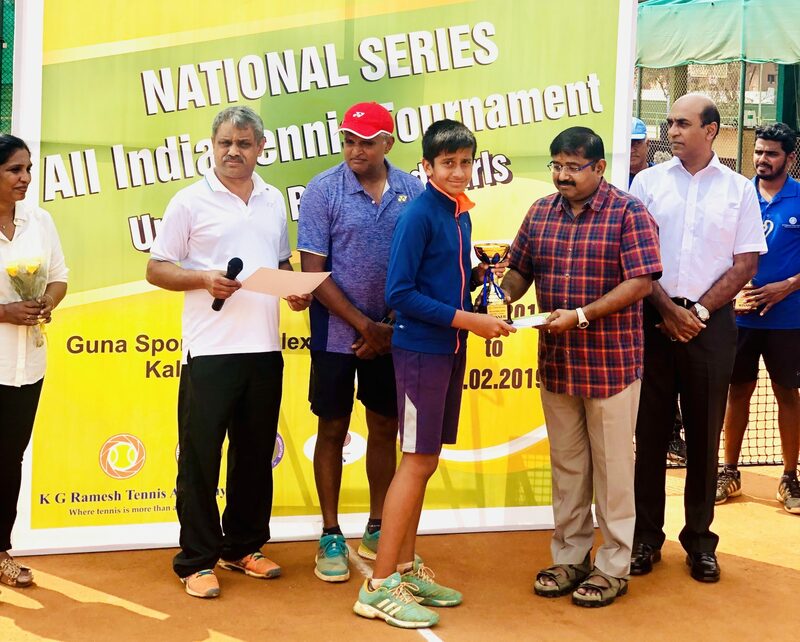 Recently in the AITA U-14 Tournament in Mysore he fared well by reaching the quarter finals in the Singles. In AITA U-12 Talent Series in Bengaluru, top seeded Mustafa lost to Rishi of Bengaluru 2-6 5-7 In the U-14 final. Armaan Ahmed of (TN) beat fifth seed Mustafa 6-3 7-5 to clinch the title. In the semi finals Mustafa beat third seeded R. Sukant 7-6. Mustafa also won Boys U-12 singles title and finished runner up in the U-14 Doubles event in the MTC AITA Talent Series Tennis Tournament 2018 for U-12 & U-14 (boys & girls) held at MTC.In November 2018, In the U-12 final top seed Mustafa beat Anoop Keshavamurthy (TN) 6-3 6-3 to clinch the title. Mustafa and Yashas finished runner up in U-14 Doubles. Mustafa, son of Murtaza Raja and Farida Raja, is currently ranked No 8 in the country in the U-12 section and No 1 in the State. With 33 AITA titles to his name, he has been performing consistently in National Tournaments and intends to work hard in the days to come.